The MasterBus 300 (MB300) communication protocol used in communication between controllers, operator stations in installations based on Advant OCS with Master software is also implemented in the System 800xA controller AC 800M. MB 300 communication is realized in AC 800M by communication interface CI855, which is connected to the CEX-Bus through a baseplate. 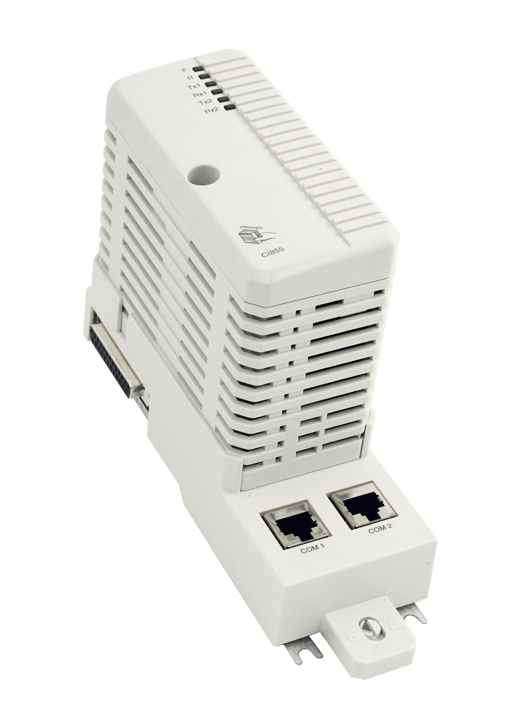 The baseplate, TP853, houses RJ45 connectors for two Ethernet ports, for network redundancy and provides a simple DIN-rail mounting. A key benefit with the CI855 interface is the possibility of having peer-to-peer communication between new plant sections with System 800xA using the AC 800M controller and existing sections with MB 300-based controllers like Advant Controller 410, Advant Controller 450 and MasterPiece 200/1.